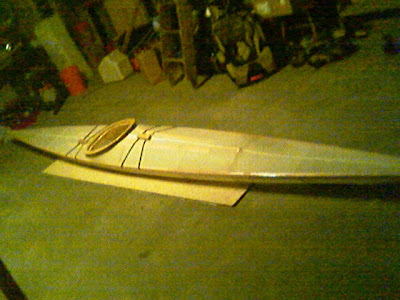 MichiganKayaker.com: The Ranger Is Ready For Water!!!! The Ranger Is Ready For Water!!!! I am getting excited. The Sea Ranger is ready for the water! I still need to add some small loops for grab handles/paddle catches at the ends and figure my permanent back rest, but otherwise the Ranger is done! The finish weight is 28 lbs even. This boat, by far, was the easiest boat I have built. 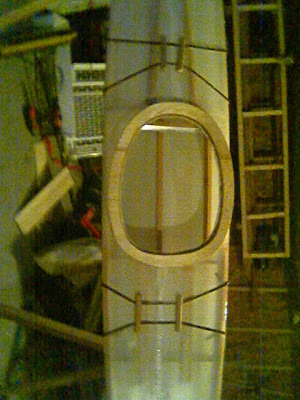 There is more assembly and less finish work, and for me that means more fun. I decided not to die the nylon and leave that cool translucent look. If it bugs me later or starts to get ugly, I will just paint it. I can't wait to launch it!